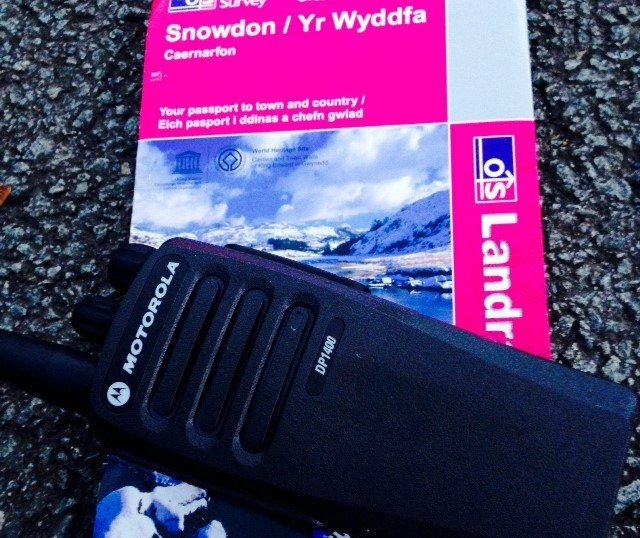 Having established the range of the new digital walkie talkies in town, we headed off to Snowdnonia to test walkie talkie range in the wild. Once again we were using the Motorola DP1400 business radios. These are digital radios which use an amazing amount of encription – the possibility of someone else interrupting our frequencies is 1 in 16,000,000! We chose a valley between the villages of Rhyd Ddu and Waunfawr, right at the foothills of Snowdon itself. We would describe the terrain as “rugged” – plenty of mountains, smaller hills, boulders and forests. However it’s worth mentioning that our radios use UHF and stub antennas, because the majority of our hire work is in London. 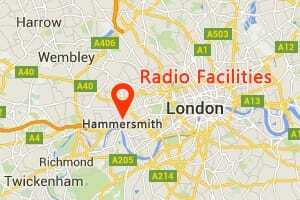 On the one hand, UHF transmits better through buildings. On the other hand, VHF works best in large open spaces. Generally VHF radios would be supplied with taller “whip” antennas. These increase range further (we use stub antennas with our radios). 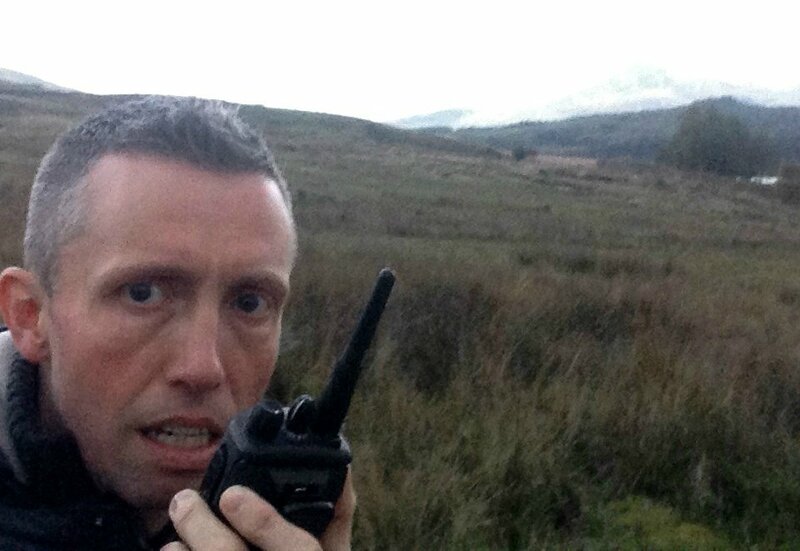 The radios are very much dependent on local terrain. We were transmitting down a narrow valley between two mountains and the moment one person went behind the line of the mountain, the signal disappeared.